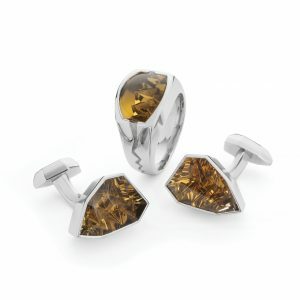 The David Fowkes Affinity range presents gems of incredible quality, bespoke cut by an artisan cutter. 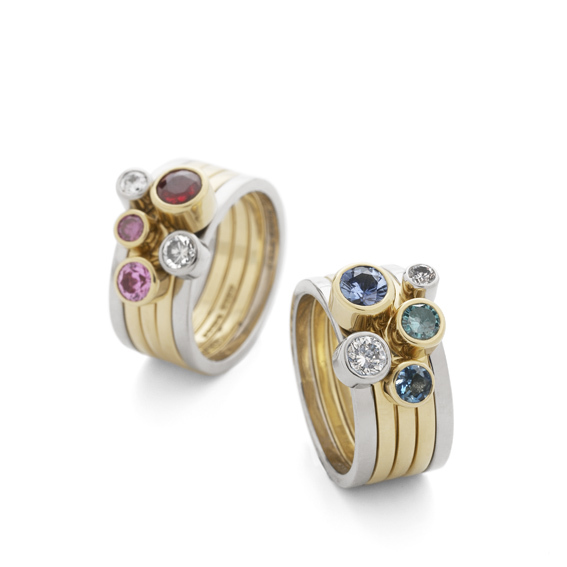 Each piece in the range has been designed in harmony with the gemstones, and beautifully handcrafted by master goldsmiths. 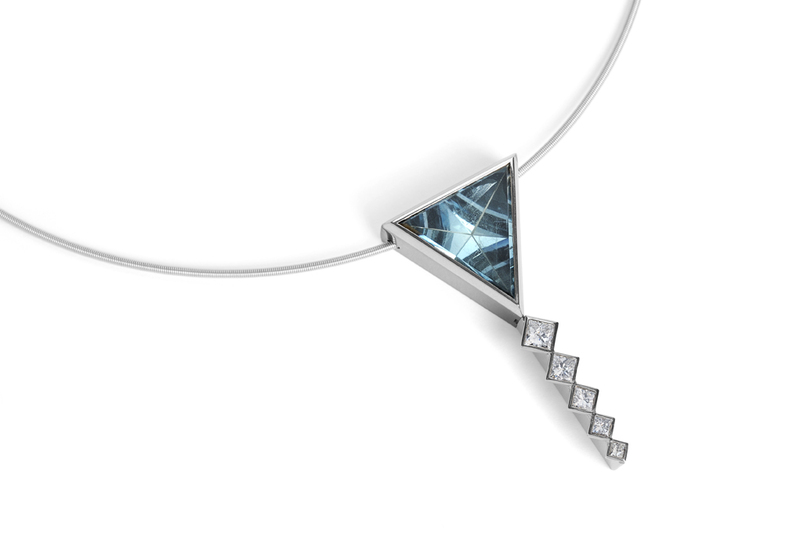 Every piece is truly unique, manifesting the relationship between the gem and the design: the affinity. 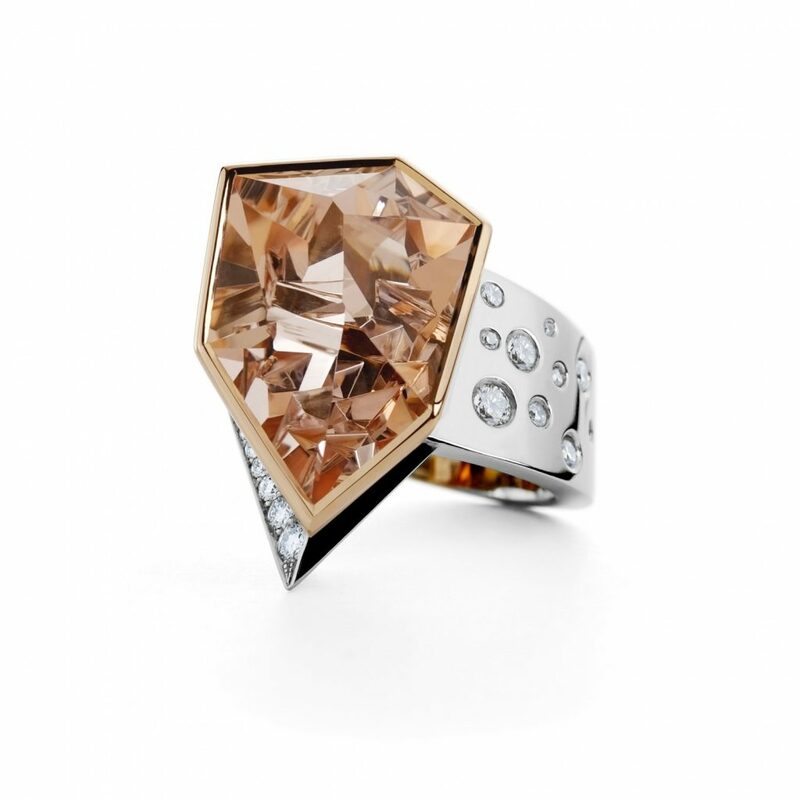 "The Affinity collection has created exclusive, one-of-a-kind pieces, that would never be seen on the high street. 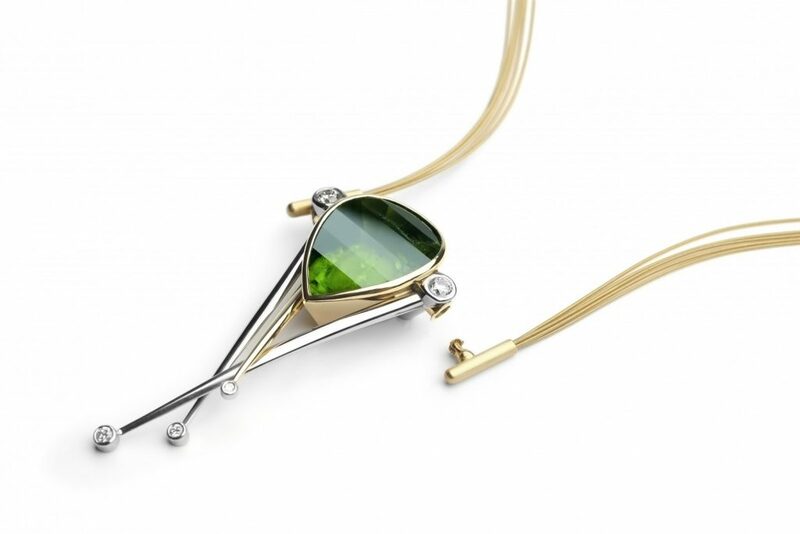 Each piece focuses on the central gemstone: the design emerges as a result of the colours, shapes and movement that David sees in each stone. Every piece created in the Affinity collection is truly unique and never re-produced. " 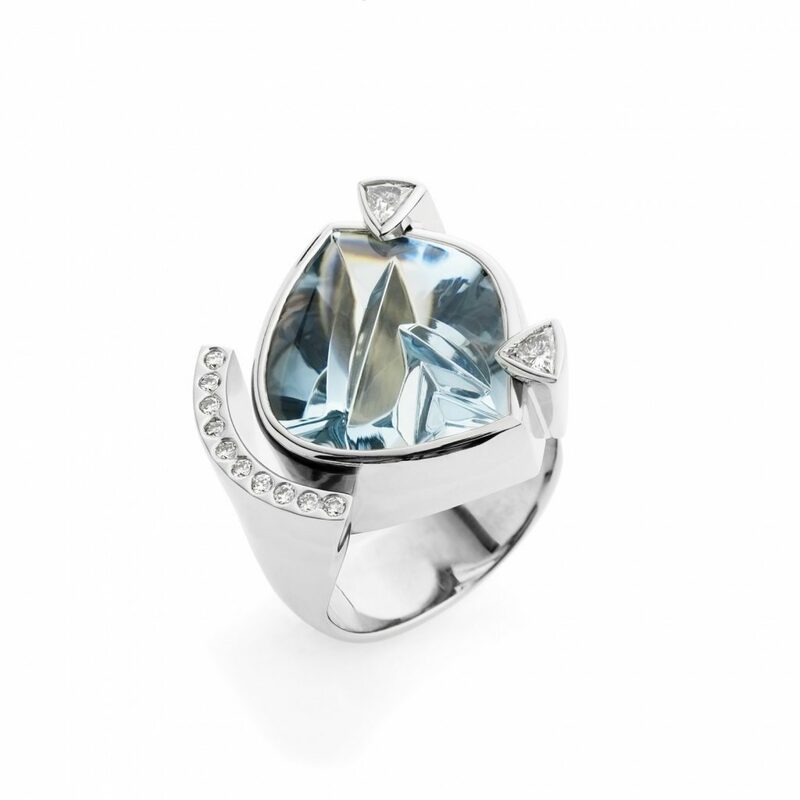 A 12.33ct Brazilian Blue Topaz gemstone set in 18ct white gold with five princess cut diamonds totalling 0.85ct. A 20.78ct Ukranian Beryl gemstone set in 18ct yellow gold, with four champagne diamonds and five VS1 white diamonds totalling 0.38ct. A 3.78ct pink Tourmaline gemstone set in 18ct white gold, with a feature 2.5mm round brilliant diamond and a further eight round brilliant diamonds totalling 0.18ct. 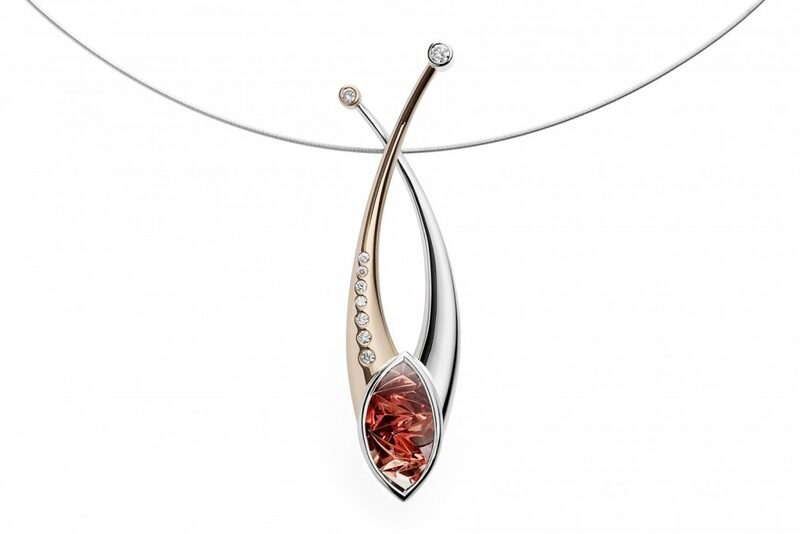 The pendant arms are cast in 18ct rose and white gold. 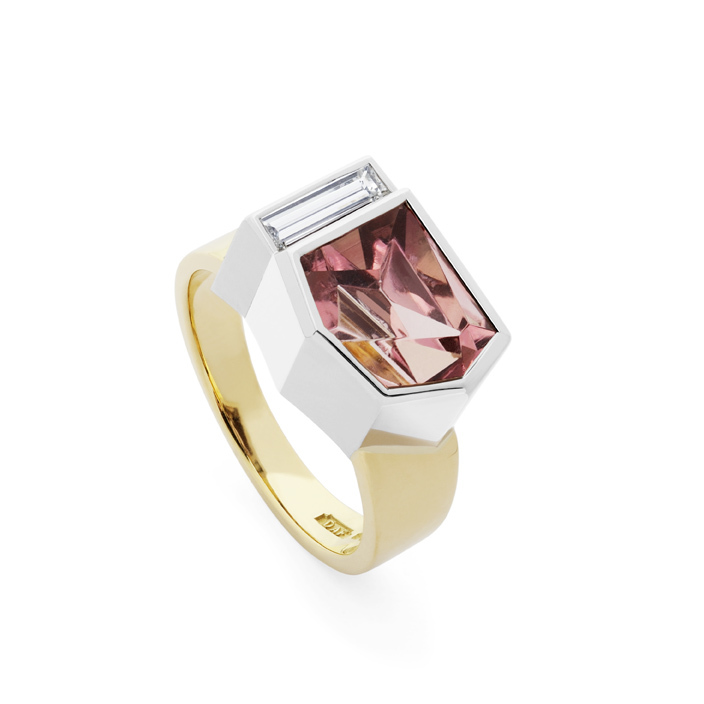 A 1.57ct bi-colour tourmaline gemstone set in 18ct yellow gold. The 18ct white gold pendant arms display three feature diamonds, set in 18ct yellow gold, and totalling 0.11ct. 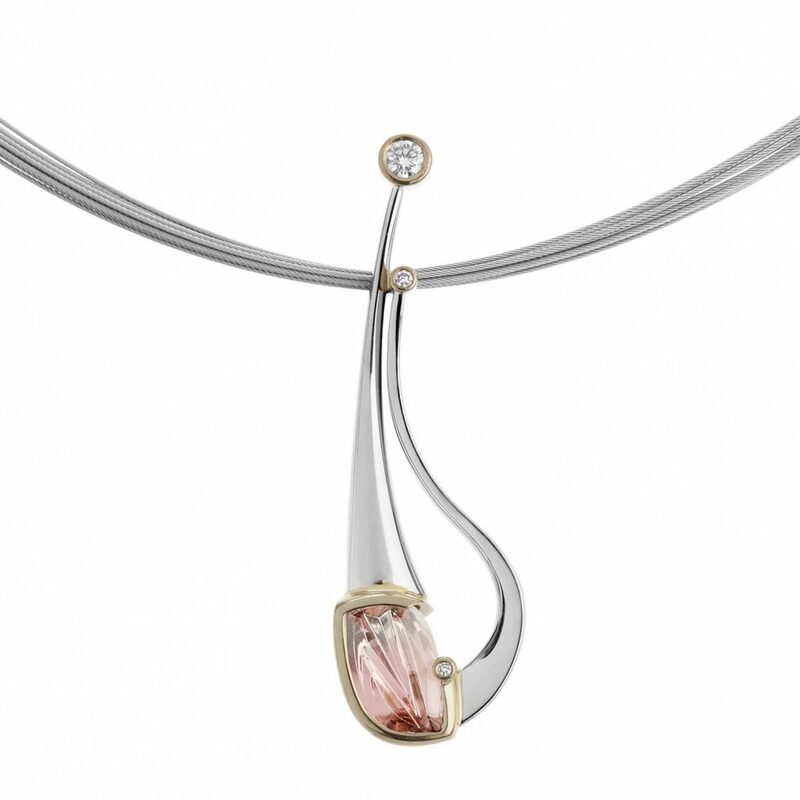 A 7.65ct tourmaline pendent set in 18ct white gold with three diamonds totalling 0.6ct. 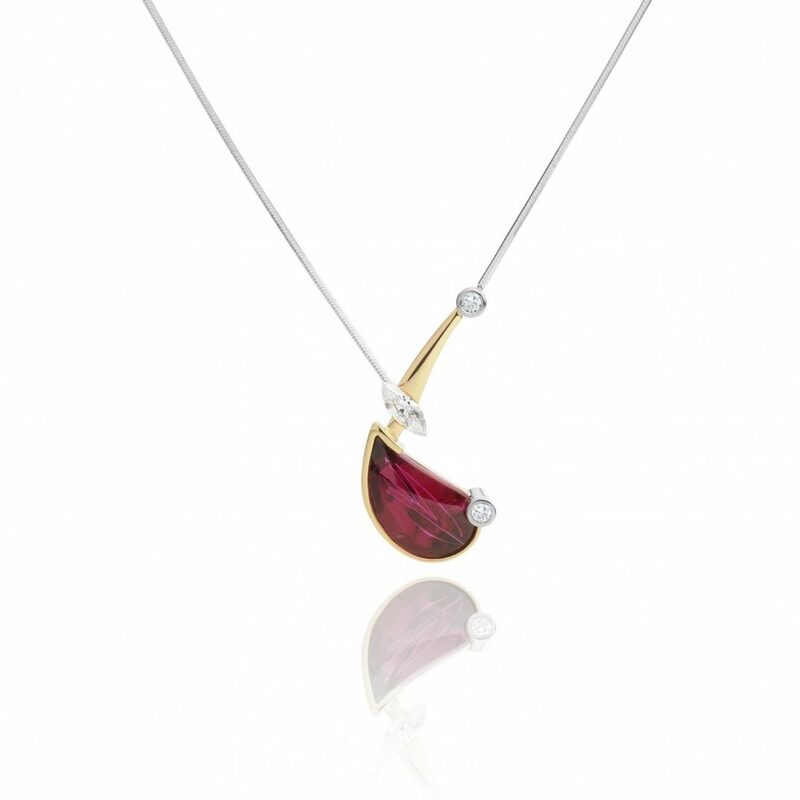 A 4.41ct Rubellite Tourmaline gemstone set in 18ct yellow gold. 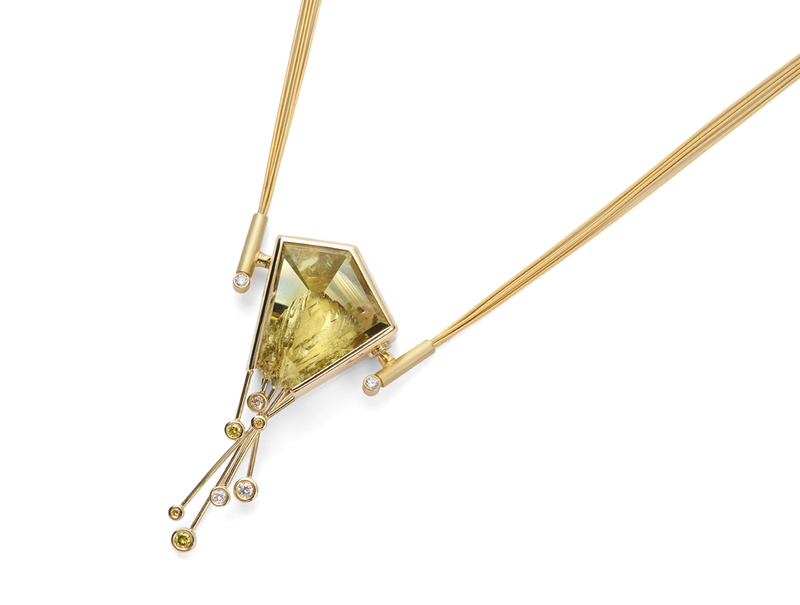 The pendant includes one 0.32ct marquise diamond and two round brilliant diamonds, totalling 0.13ct, which are all set in 18ct yellow gold. 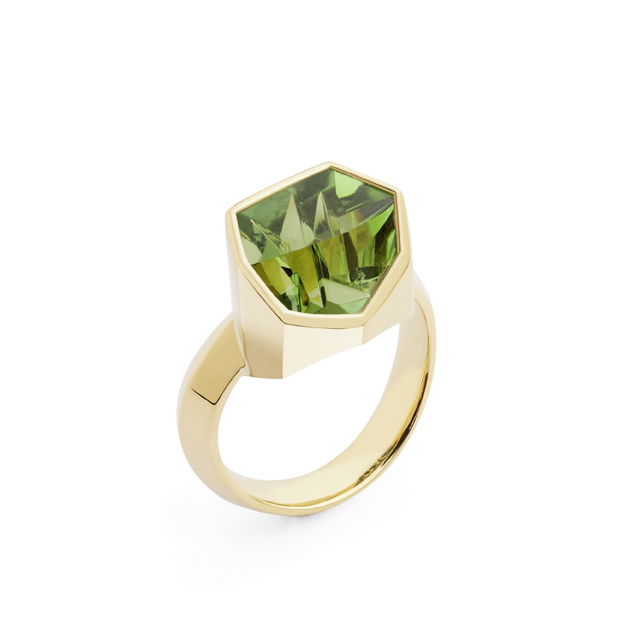 A 32.24ct peridot gemstone set in 18ct yellow gold. 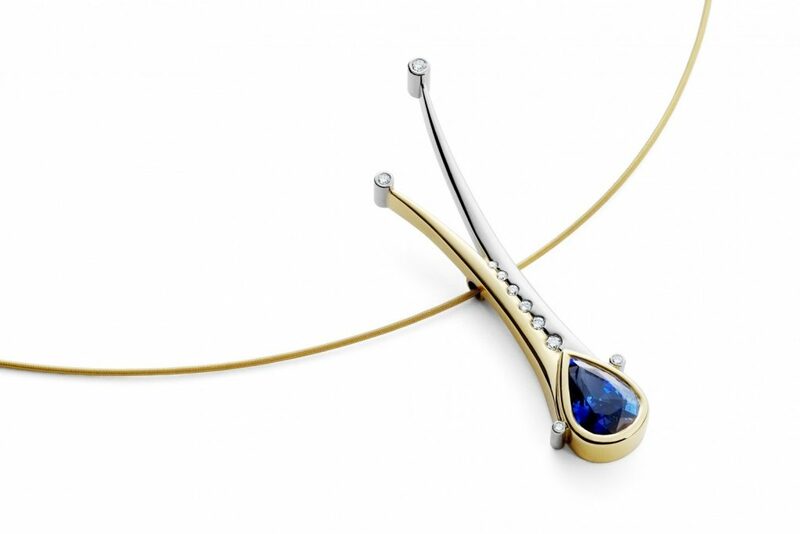 The pendant has 18ct white and yellow gold detailing. Two diamonds totalling 0.42ct sit either side of the gemstone. Three diamonds, totalling 0.15ct, are set within the 18ct white gold detailing. 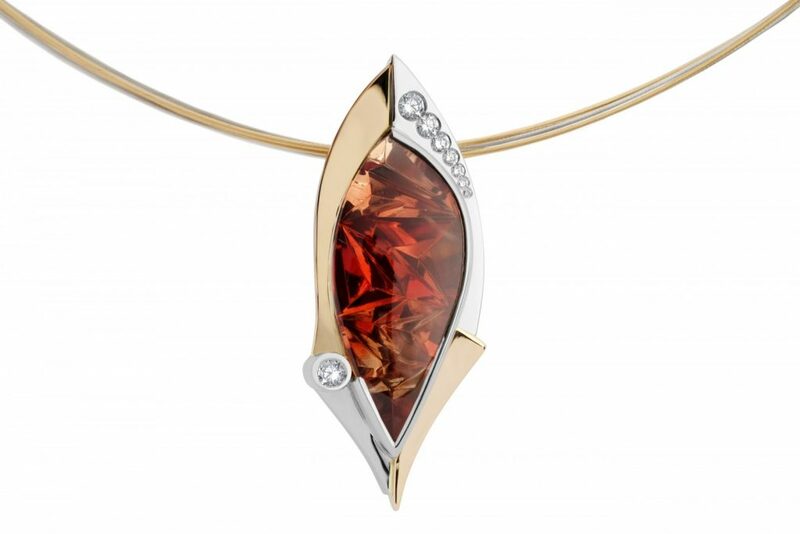 This Goldsmiths' Craft & Design Award winning pendant showcases the Oregon Sunstone gemstone. 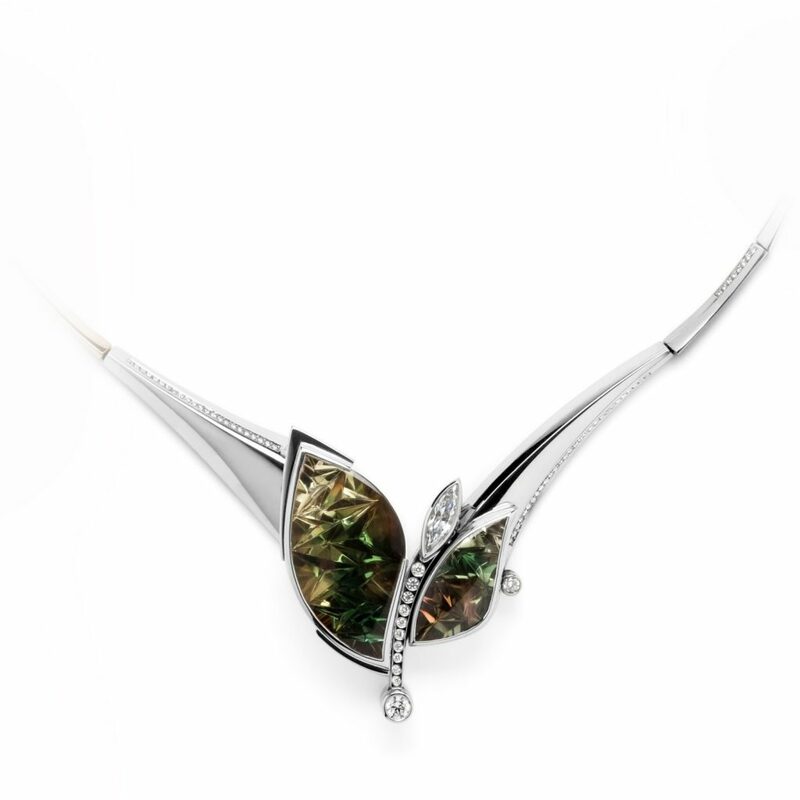 The sunstones of 27.55ct, 9.39ct and 8.2ct sit at the front and rear of this exclusive pendant, set in 18ct white gold. 142 diamonds of 1mm are set into the pendant collar in runs of diamonds. The pendant also includes one 4mm round brilliant diamond (0.27ct), one EVS2 marquise diamond (0.51ct), one marquise diamond (0.84ct) and three round brilliant diamonds (0.17ct). 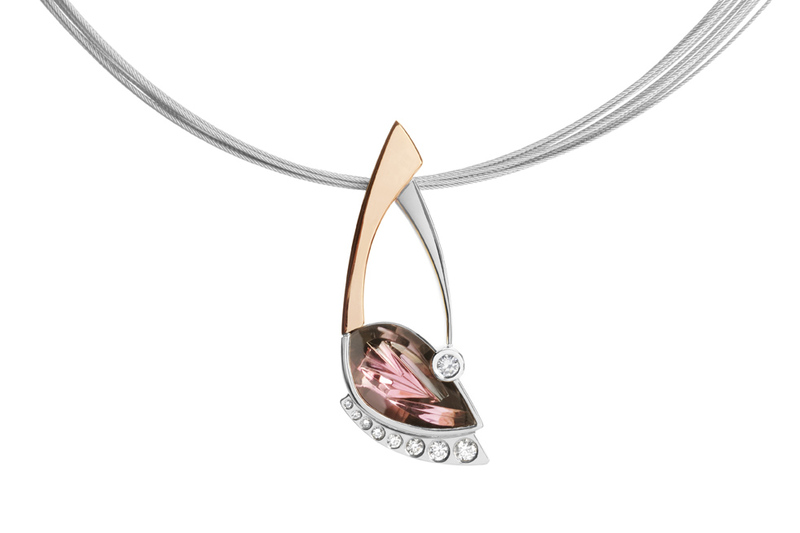 The solid gold pendant is made in 18ct white and rose gold. 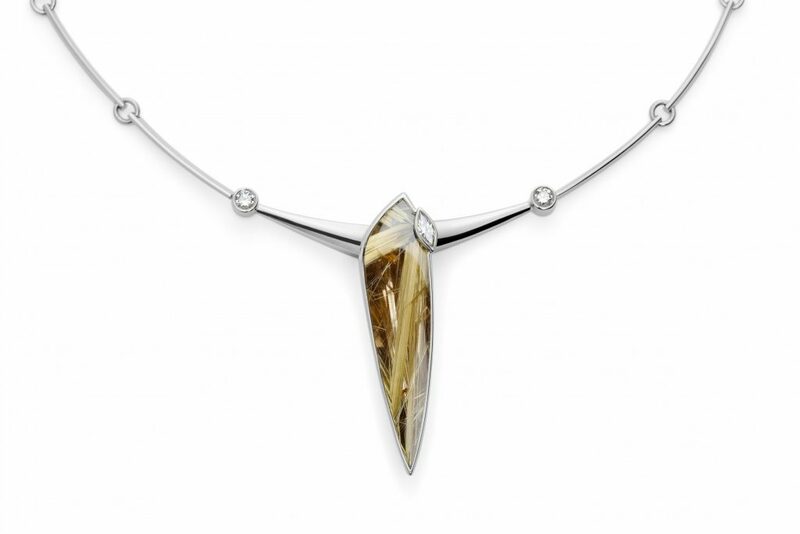 At the front of this pendant sits a 20.31ct rutile quartz gemstone: a 7.48ct rutile quartz gemstone is located at the rear. They are both set in 18ct white gold and accompanied by one marquise diamond (0.24ct) and two round brilliant diamonds (0.37ct). A 3.01ct Ceylon Sapphire set in 18ct yellow gold, with a tapered run of six diamonds totalling 0.10ct and four diamond highlights totalling 0.09ct. An 8.77ct Morganite gemstone set in 18ct red and white gold, with one marquise diamond (0.29ct) and three round white diamonds (0.15ct). 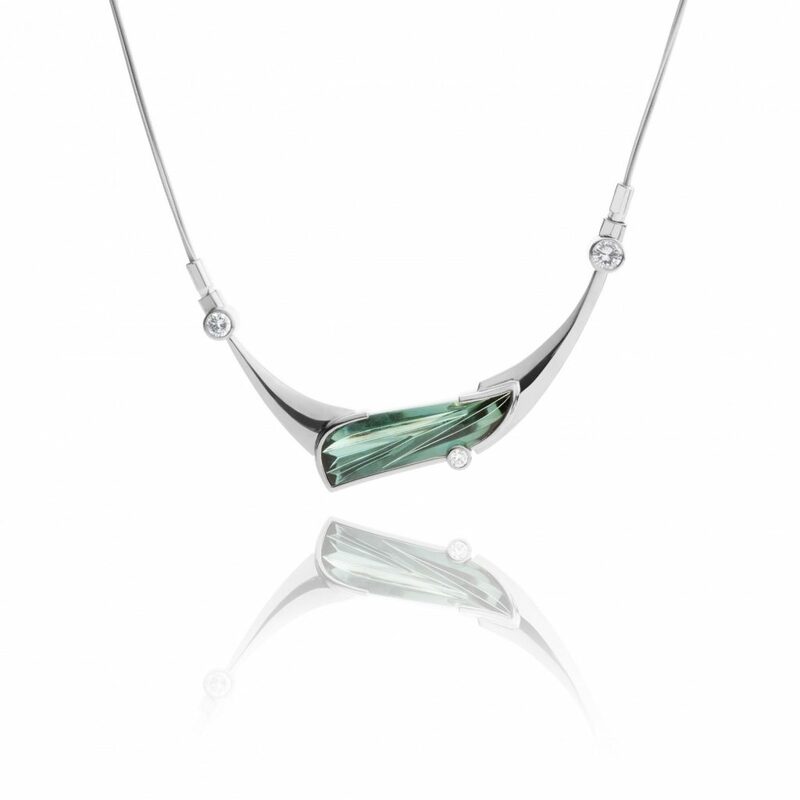 A 3.48ct green tourmaline gemstone, with a round brilliant diamond, set in 18ct white gold. The 18ct yellow and white arms are embellished with two feature diamonds, totalling 0.065ct. A 7.69ct rubellite tourmaline gemstone set in 18ct white gold. The pendant arms feature a tapered run of gemstones: eight rubies (0.57ct), four sapphires (0.085ct) and thirteen diamonds (0.12ct). 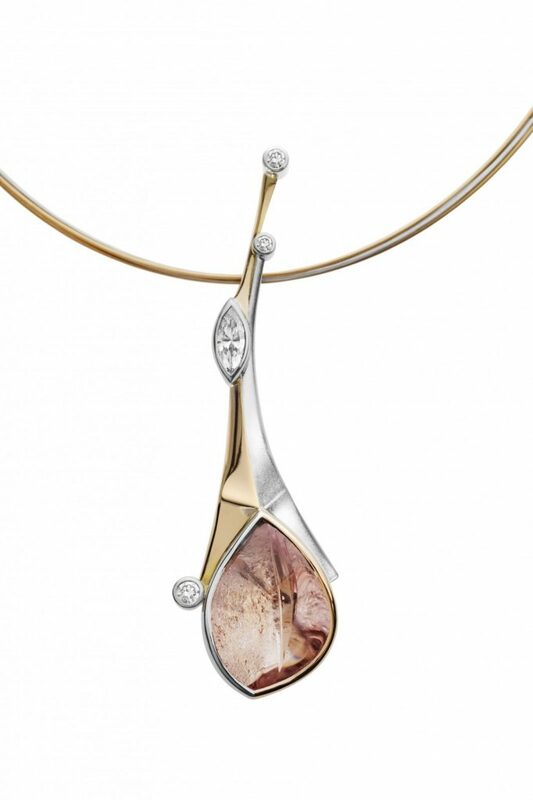 A speciality cut, 10.51ct Oregon sunstone features in this bespoke pendant. The stone is set in an 18ct white gold rub over setting and has feature arms in both 18ct white and red gold. One of the arms has a tapered run of seven white diamonds ranging from 2.3mm to 0.7mm, and totalling 0.13ct. 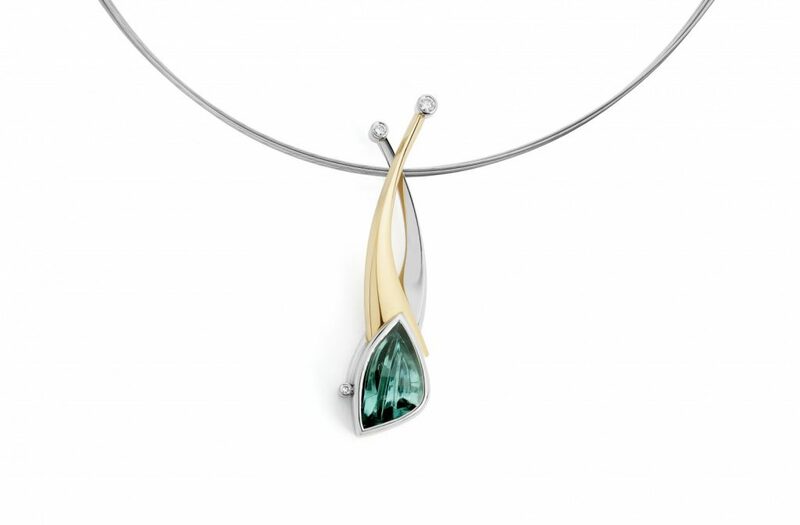 On the opposite side of the pendant there is a 0.03ct highlight diamond set in an 18ct white gold rub over setting. 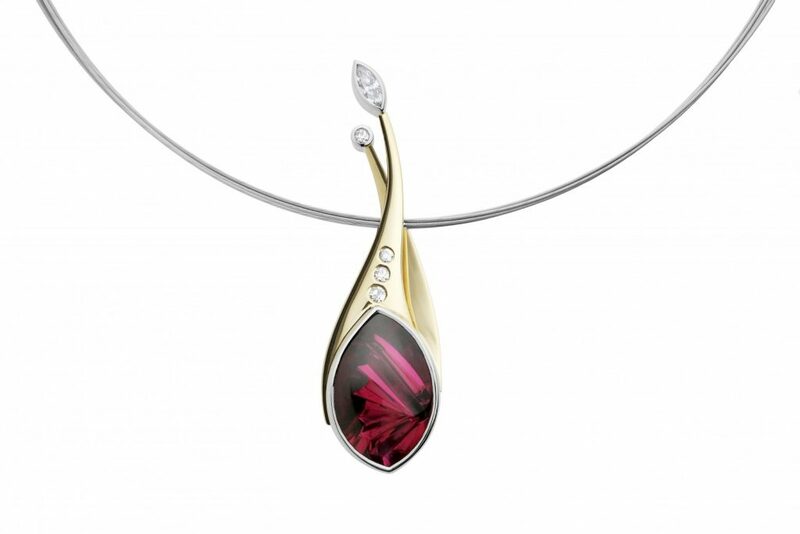 A specialty cut 20.36ct rubellite tourmaline is the main stone in this bespoke pendant. 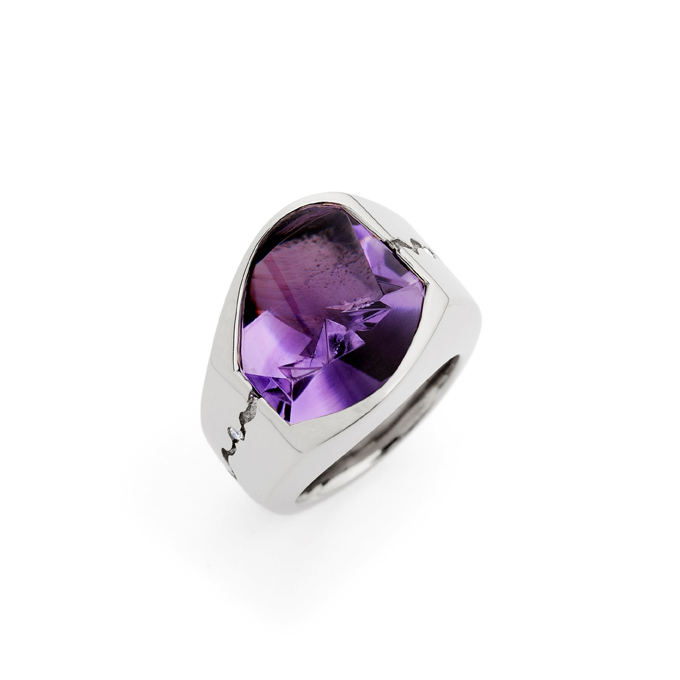 The stone is set in an 18ct white gold rub over setting. The stone has two 18ct yellow gold arms coming from it and overlapping one another. One arm has three diamonds flush set into it and is finished at the end with a 0.13ct marquise diamond that has been rub over set in 18ct white gold. The other arm finishes with a round brilliant diamond set in an 18ct white gold tube. A rare Oregon Sunstone gemstone with vivid red flashes weighing 6.16ct cut in an abstract marquise shape. The stone is set in an 18ct white gold rub over setting which gives rise to two cast arms. Each arm terminates in a diamond, 11pts and 4pts respectively. The rear arm is in 18ct white gold and the front in 18ct rose gold. The latter is highlighted by a tapered run of seven flush set diamonds, weighing 12pts in total. 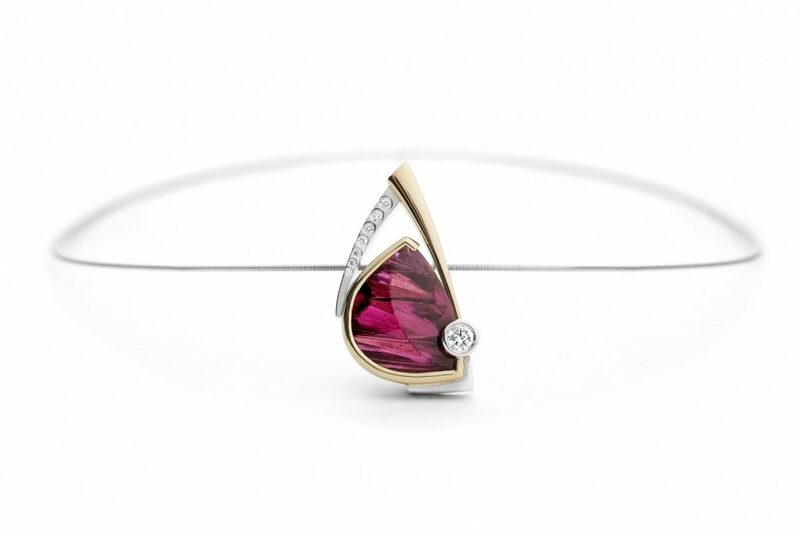 A bespoke cut rubellite tourmaline. The stone is mounted in a backed 18ct yellow gold rub over setting which is enhanced by a single, 20pts round brilliant diamond, a minimum of G/VS in quality. The setting is suspended by two arms, one in 18ct yellow and left plain, the other in 18ct white gold and set with seven diamonds graduating from 2mm down to 0.8mm and weighing a total of 20pts. 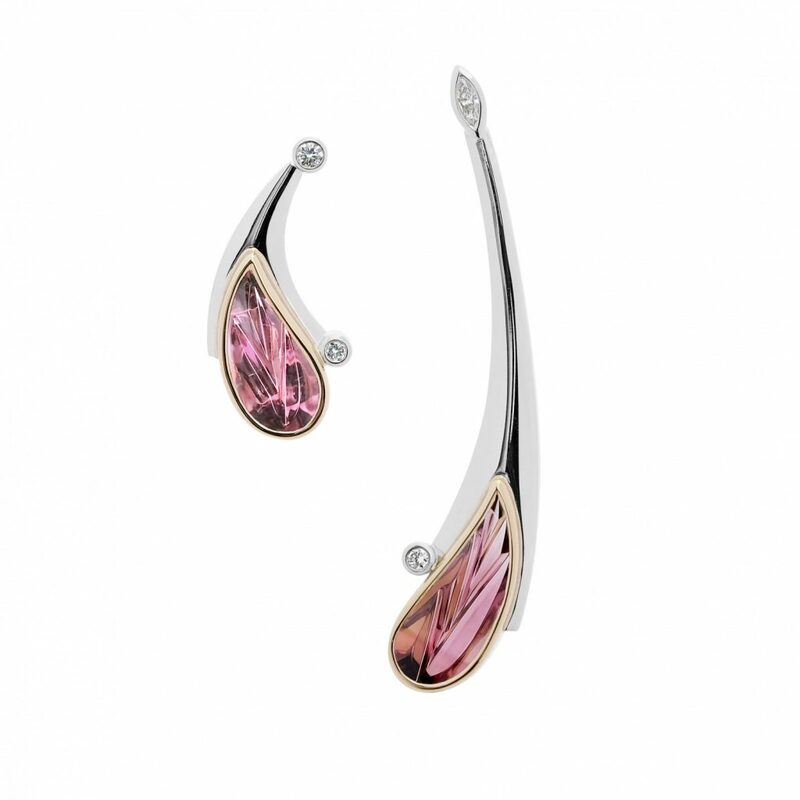 Two pink tourmaline gemstones, totalling 3.25ct, set in 18ct white gold. The arms, a combination of 18ct white and yellow gold, feature two 0.1ct round brilliant diamonds and two 0.03ct round brilliant diamonds, all set in 18ct white gold. 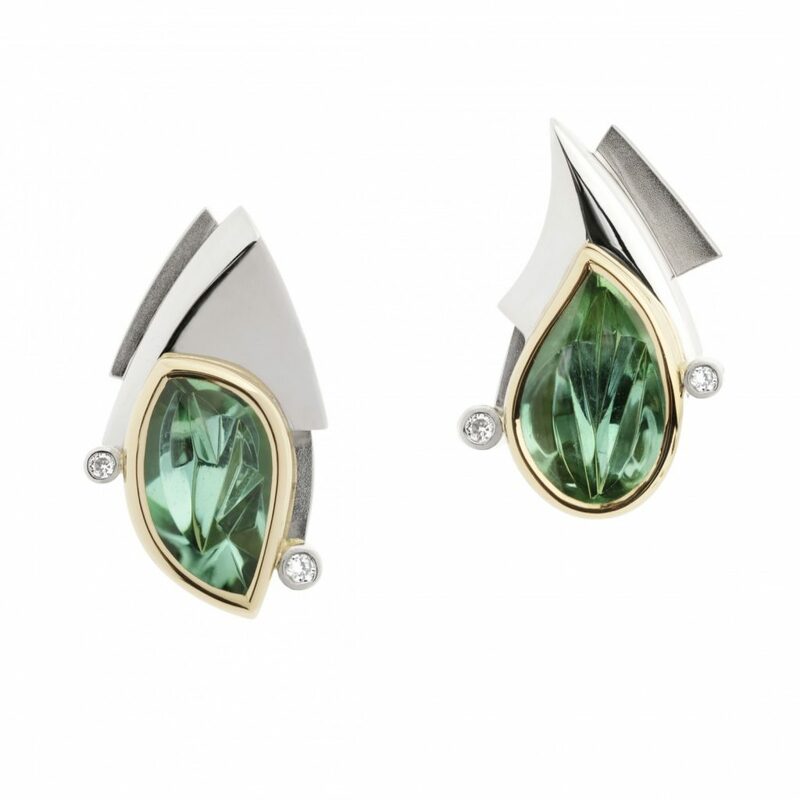 A 3.25ct and 2.89ct bespoke-cut, green tourmaline gemstone features in this unique pair of earrings. Set in 18ct yellow gold, the 18ct white detail includes four white diamonds totalling 0.035ct. 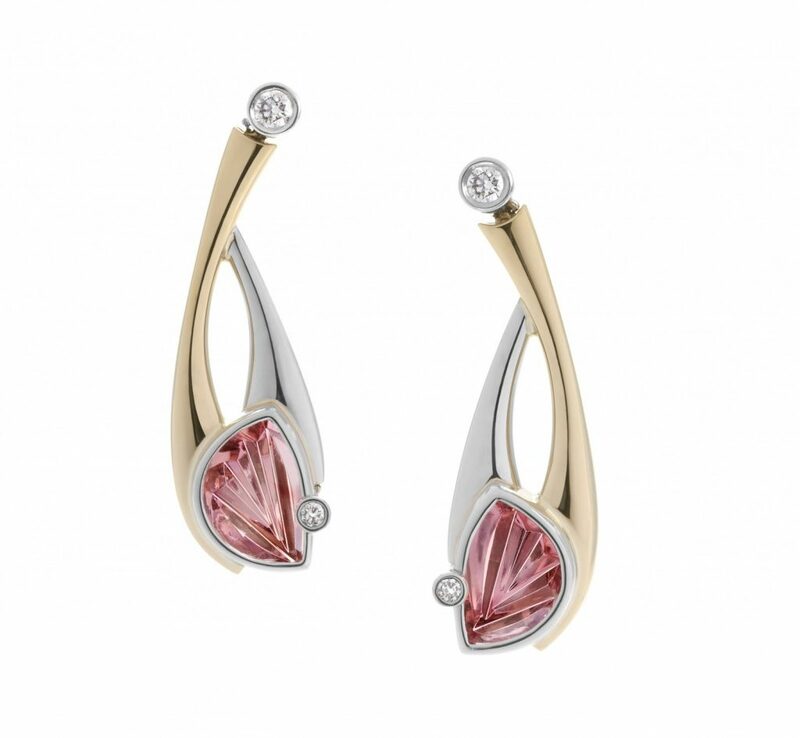 A 1.95ct and 1.84ct pink tourmaline gemstone feature in this bespoke pair of earrings. Set in 18ct yellow gold, the 18ct white gold arms feature one 0.5ct marquise diamond and three 0.7ct round brilliant diamonds. 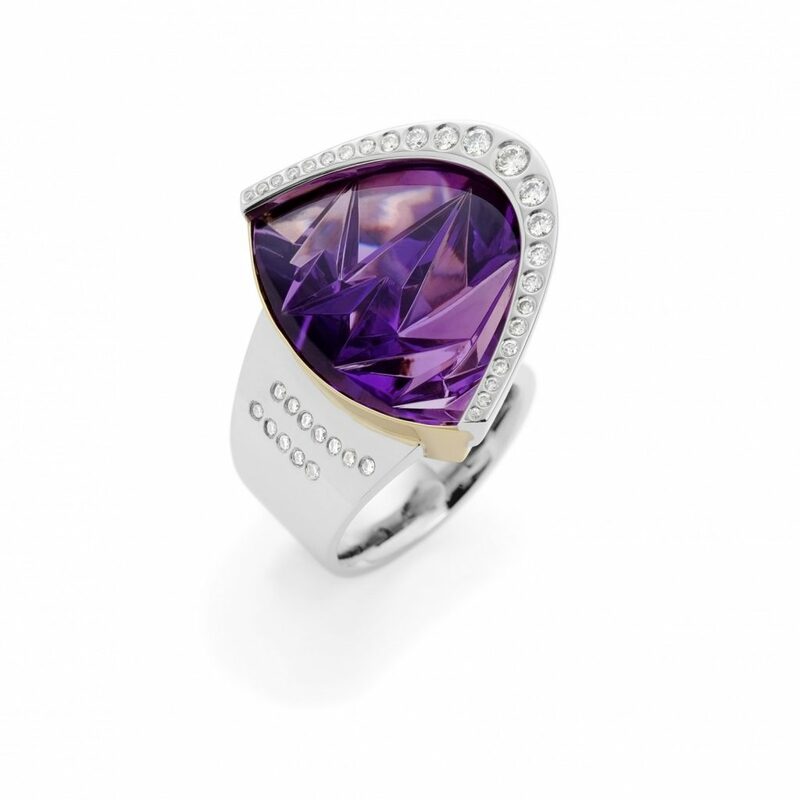 An 11.1ct Brazilian Amethyst set in 18ct white gold with three 0.015ct round brilliant diamonds. 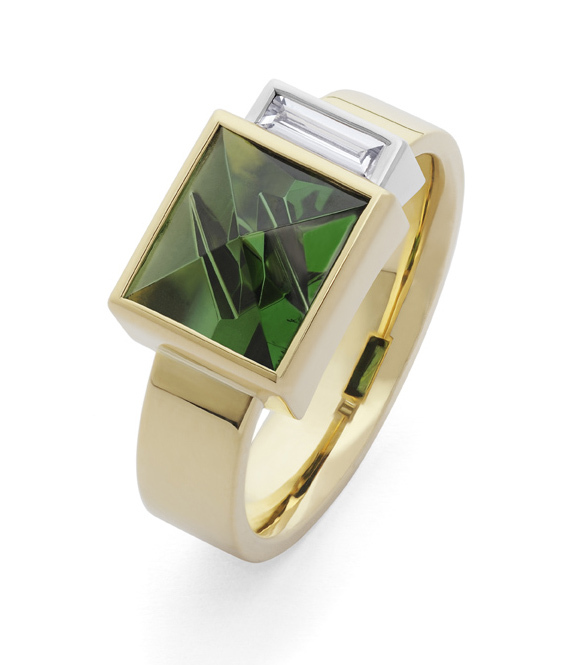 A 3.05ct tourmaline gemstone set in 18ct yellow gold, with a 0.14ct baguette diamond set in 18ct white gold. 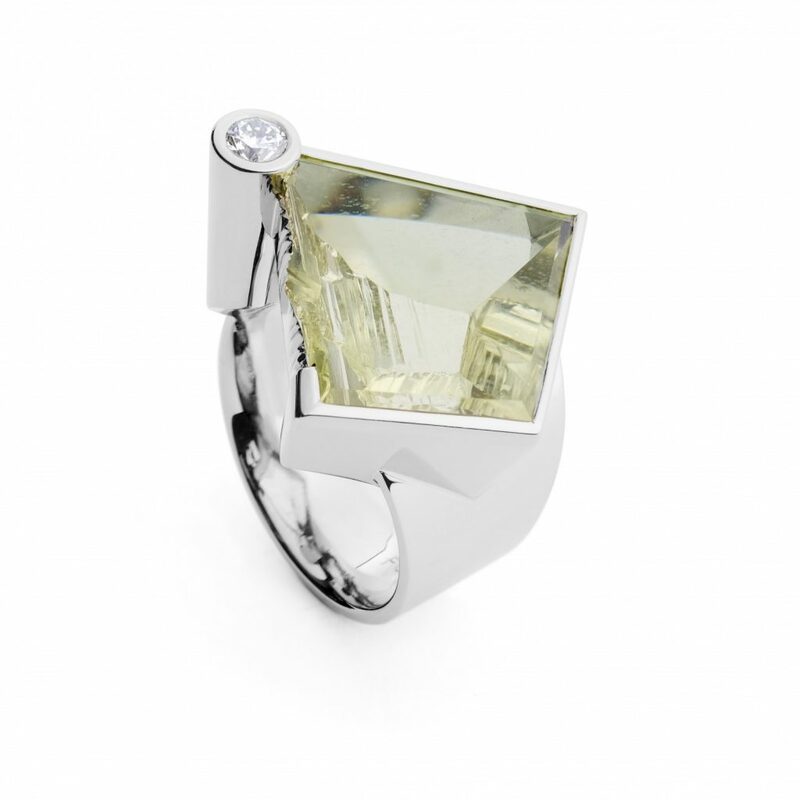 A 4.28ct tourmaline gemstone and 0.31ct baguette diamond set in 18ct white gold, on an 18ct yellow gold shank. A 3.93ct Afghanistan Tourmaline gemstone set in 18ct yellow gold. An 11.05ct Aquamarine gemstone with two trillion cut diamonds (0.22ct) and 10 1.4mm round brilliant diamonds (0.13ct) all set in 18ct white gold. 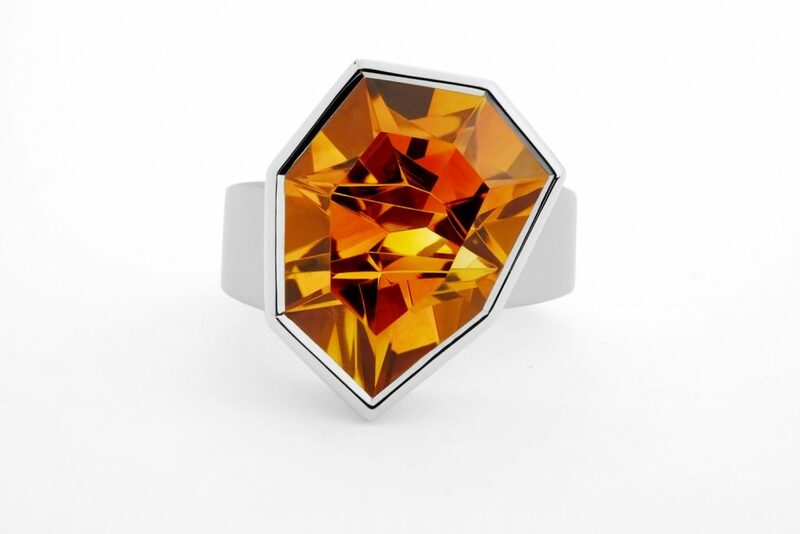 A 60.21ct citrine gemstone set in 18ct white gold. This ring has been sold. A 29.74ct morganite gemstone set in 18ct red gold, with twenty round brilliant diamonds (0.005ct - 0.11ct) totalling 0.68ct, set in an 18ct white gold shank. 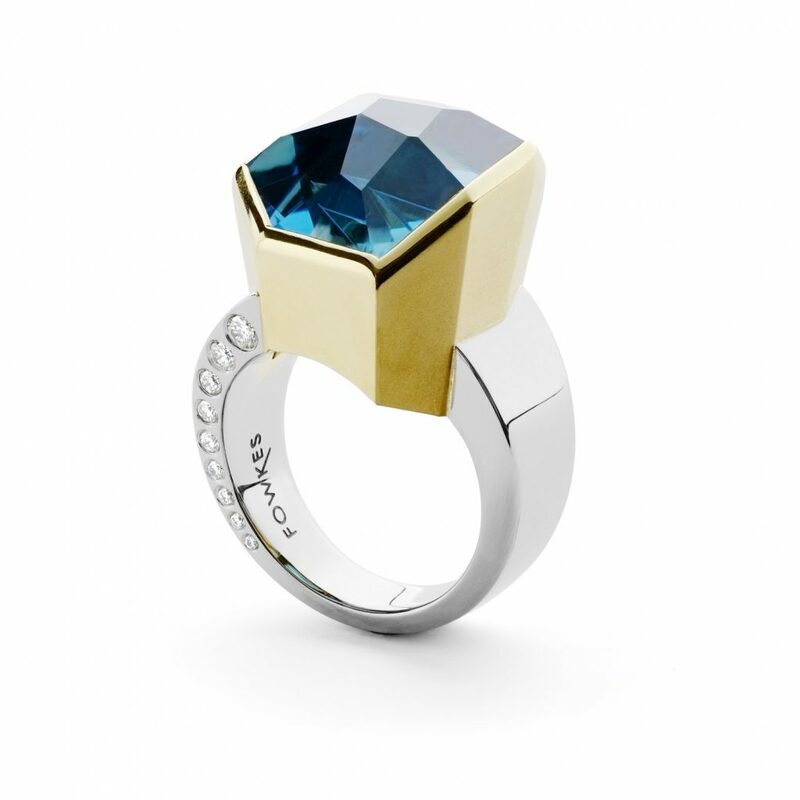 A 34.26ct Blue Topaz set in 18ct yellow gold, on an 18ct white gold shank with 9 white diamonds (0.23ct) and 7 blue diamonds (0.17ct). This item has been sold. 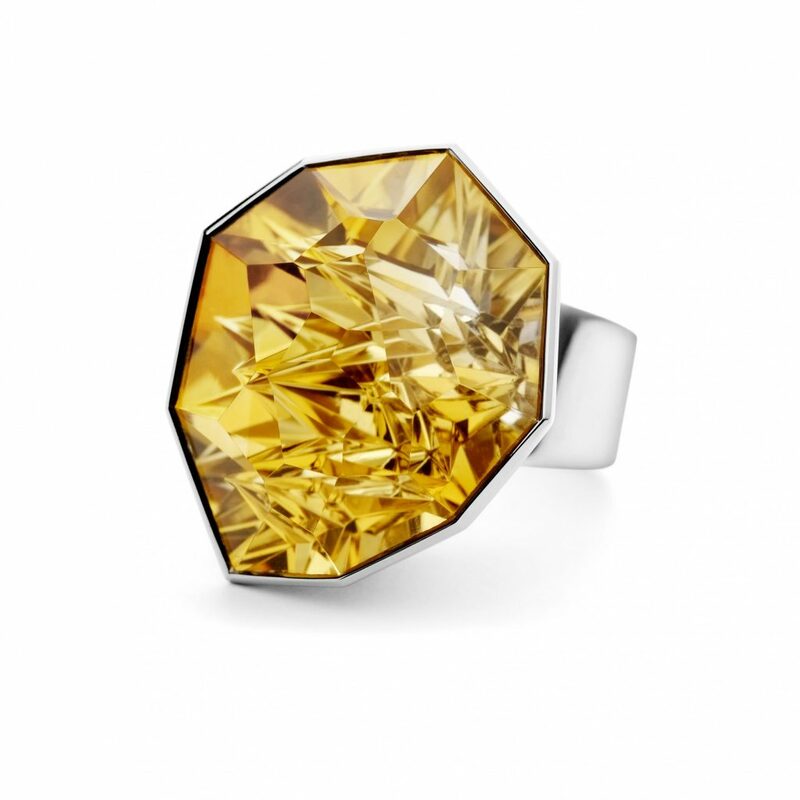 A 11.84ct Citrine gemstone set in 18ct white gold. 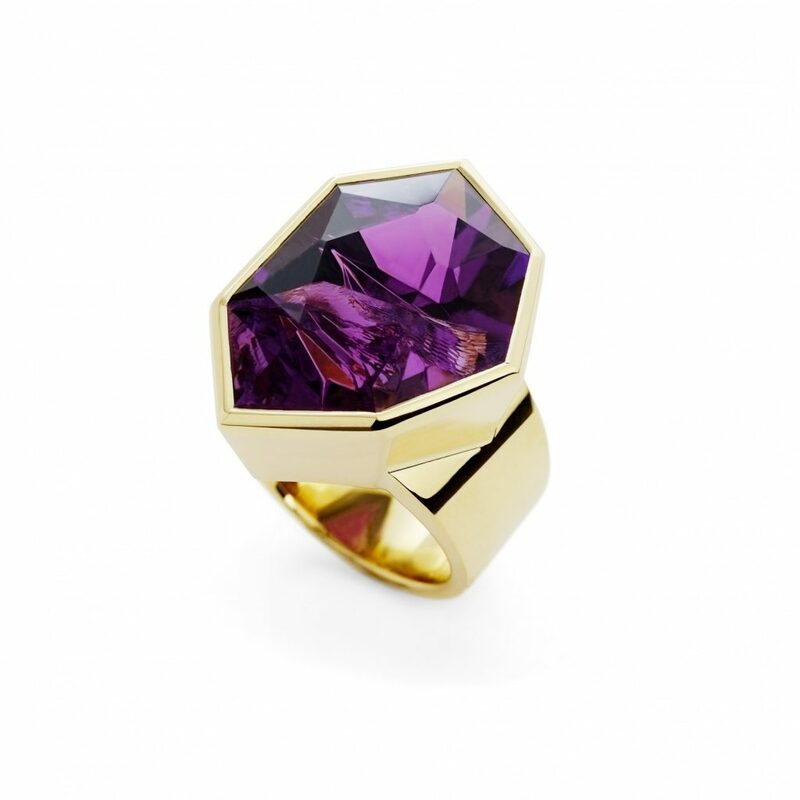 A 35.21ct Uruguayan Amethyst set in 18ct yellow gold. A 28.25ct Amethyst gemstone set in 18ct yellow gold, on an 18ct white gold shank with 24 diamonds of various sizes (0.43ct) and 12 1.3mm diamonds (0.12ct) set in 18ct white gold. A 14.12ct Ukranian Beryl gemstone with one, 0.11ct white diamond, set in 18ct white gold. The five rings in this stacker set can be made to suit the client's requirements: the choice of 18ct white, yellow or rose gold; the selection of diamonds and gemstones. 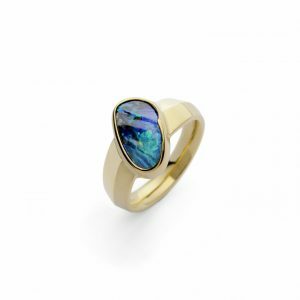 A client's own gemstones can be incorporated into the rings to retain sentimental value.